Community radio stations must have a revenue enhancement plan in addition to the resources that are provided by the state, says Communications Minister Nomvula Mokonyane. “No resources will be released unless people comply, no resources will be availed unless people demonstrate and have the record of board meeting and financial controls,” Minister Mokonyane said. She was addressing the media ahead of her meeting with the management of Mamelodi FM and Poort FM in Tshwane on Friday as part of her community radio outreach activities. The meeting was also be attended by Sentech, Media Development and Diversity (MDDA) and the Independent Communications Authority of South Africa (ICASA). 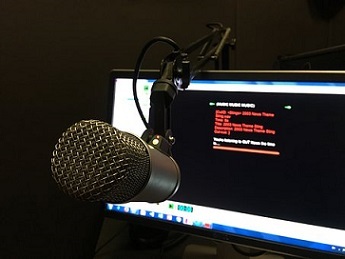 Last month, Minister Mokonyane committed to engage the community radio sector through a process aimed at strengthening governance, financial management, revenue generation and skills development within the sector. “We are going throughout the country interacting with the [broadcasting] community sector because we do believe they play a strategic role in transforming our country, in creating new economic opportunities,” she said. Minister Mokonyane said community radio sector has a huge potential and it needs to be supported. She said the sector must have the capacity to deal with issues of management and governance. “We must make sure that there is compliance and accountability and making sure there’s improved content and better administration,” Minister Mokonyane said. Government is committed to ensuring that the community media sector is provided the requisite support to ensure its effectiveness in providing information to the most vulnerable and sometime isolated communities. Mamelodi FM Station Administrator Sam Mfaladi said the challenges faced by the station were issues of licencing, funding and governance. “Most of the people that are responsible for governance in this sector are not up to speed with what their responsibilities are. We have challenges with funding, we depend on funding from the government agencies such as the MDDA which at times takes a long time to come through,” Mfaladi said. He said the sector also needs help with training. “I think there’s been too many licenses that have been issued ….and a lot of the radio stations are failing to comply with the licenses conditions,” Mfaladi said. Mamelodi FM Station is seven years old and has about 26 000 listeners. Poort FM Poort Founder and Station Manager Tanya Ramatlo said her station has been livestreaming since the 1 April. Ramatlo said the Department of Communication has been helpful in assisting with setting up with the radio station but the process is slow. “Our funding was approved in 2016, we only signed a contract with MDDA in 2018 and funding still hasn’t been paid out,” she said. Ramatlo said the radio station is also having issues with ICASA as the station has been granted a service license but not the spectrum licence as there’s no frequency available. “This makes it difficult for Poort FM because we cannot stand on our own two feet, we have to rely on Mamelodi FM. We cannot apply for funding on our own, we have to do it with Mamelodi FM as they have the license,” she said.